Stroke is the #1 perpetrator of permanent disability and the #2 cause of mortality in the world. 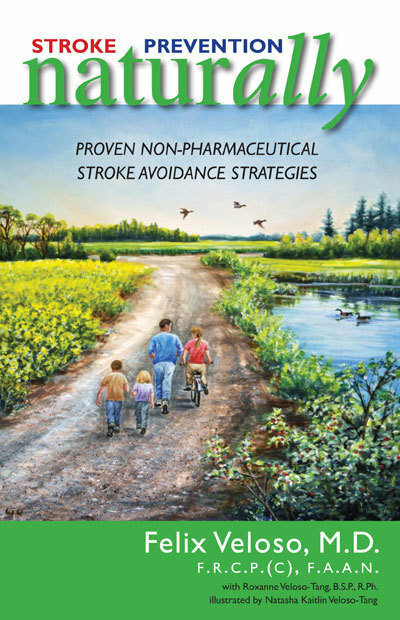 Stroke Prevention Naturally provides recognised natural healthy lifestyle strategies that can prevent up to 90% of strokes (along with dementia and heart attack). Dr. Felix Veloso is a clinical professor of medicine (Neurology) at the College of Medicine at the University of Saskatchewan. He is a fellow of the Royal College of Physicians and Surgeons of Canada, and of the American Academy of Neurology. Dr. Veloso is the founding co-director of the Stroke Clinic of Regina Qu'Appelle Health Region where he has been providing neurologic care fore the people of Saskatchewan for over 40 years. Dr. Veloso has received numerous research grants and honoraria for participating in clinical research and continuing medical education programs sponsored by several global pharmaceutical companies. He is also an award-winning marathon runner.